On March 11, 2011, massive earthquakes hit the Tohoku area in northeastern Japan and caused the catastrophic meltdowns at the Fukushima Daiichi nuclear power plant. However, large numbers of families including children are still living in contaminated areas. The reasons they have not left are various: lack of the financial resources necessary to relocate, for example. Or, they may be the victims of government failure to provide appropriate instruction about the need for evacuation. Director Hitomi Kamanaka realized that the people living in Belarus, still suffering the aftereffects of the Chernobyl nuclear disaster, had valuable lessons to offer. We stand at a turning point: we live in a time when all people face the problem of radiation exposure, and we who are adults have a special responsibility. To learn from the experiences of the people of Belarus can provide important knowledge for survival and for finding hope for the future. 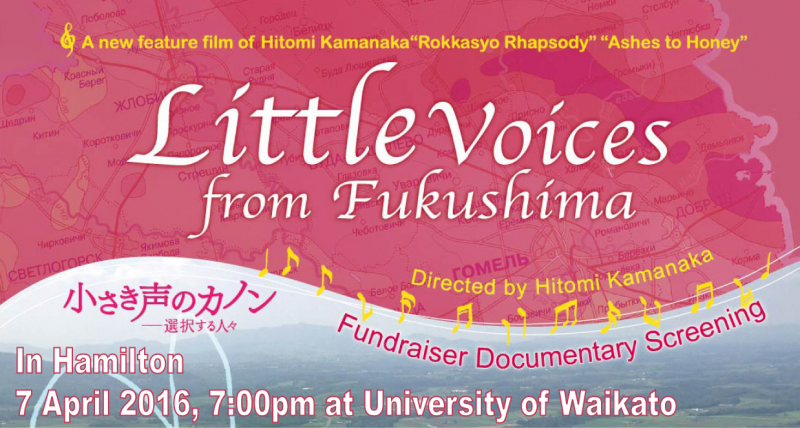 Little Voices from Fukushima Trailer from ぶんぶんフィルムズ on Vimeo.